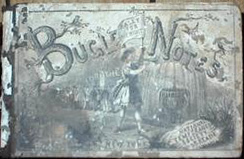 Bugle Notes for The Temperance Army:A collection of Songs,Quartettes,and Glees. 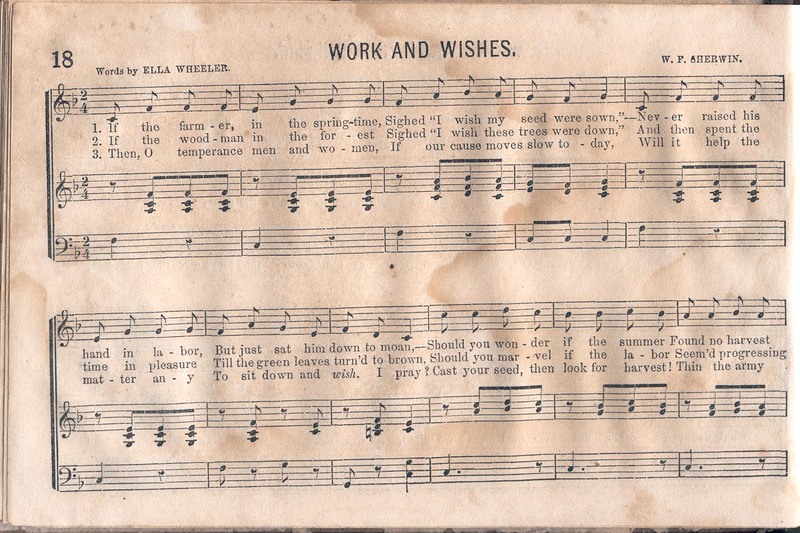 "Work and Wishes." 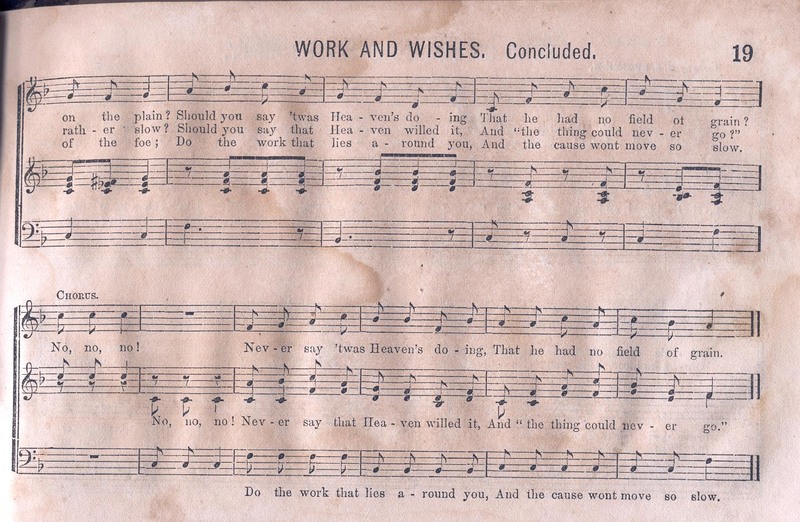 p.18-19. Provided courtesy of Richard L. Schmeidler.